Drunk driving claimed the lives of almost 11,000 people in 2017 and 2016, according to new data released today by the National Highway Traffic Safety Administration (NHTSA) that shows drunk driving remains the leading cause of death on our nation’s roads. According to NHTSA, 37,133 people died in traffic crashes in 2017, and 29 percent of those killed, or 10,874, were due to drunk driving. Drunk driving deaths decreased 1.1 percent from 2016, according to revised estimates of 10,996 alcohol-related fatalities for 2016, also released today. In both 2015 and 2016, drunk driving deaths and overall traffic fatalities had increased over the previous year. After two years of alarming increases in drunk driving deaths in 2015 and 2016, the new data shows a very slight decrease for 2017 — but that is not enough. One death is too many, but almost 11,000 lives lost — two years in a row — is devastating. It’s unacceptable. We must double-down on preventing this violent crime with strong laws, diligent law enforcement and making sure we are taking personal responsibility in our own lives to always plan ahead for a non-drinking driver when plans include alcohol. 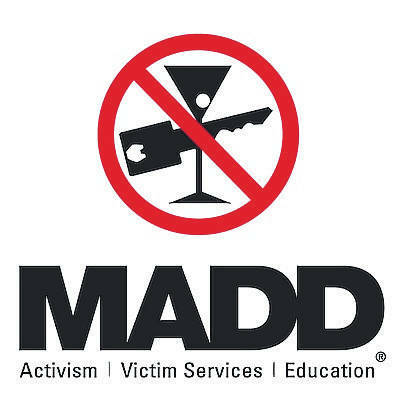 MADD’s Campaign To Eliminate Drunk Driving, launched in 2006, is the blueprint to end drunk driving. The Campaign supports high-visibility law enforcement, such as sobriety checkpoints and saturation patrols, state laws requiring ignition interlocks for all drunk driving offenders, development of advanced vehicle technology and public support for these initiatives. Drunk driving deaths have decreased by 22 percent since the Campaign launched, but the past three years underscores that more must be done. Thirty-two states and the District of Columbia have passed ignition interlock laws for all drunk driving offenders, including Iowa and Idaho this year. MADD calls on every state to pass all-offender ignition interlock laws and improve existing laws to ensure all offenders use an ignition interlock as soon as possible after a drunk driving offense. MADD also encourages law enforcement agencies to conduct regular sobriety checkpoints and saturation patrols and to participate in NHTSA’s annual Drive Sober or Get Pulled Over campaign to increase enforcement in December. With the holiday season quickly approaching and the heightened risk of crashes during that time, we need everyone to work toward a future of No More Victims. Advocate with us to inform your elected officials. Monitor your judicial system. And join us for Walk Like MADD events across the country. Tell everyone who will listen that it is NEVER OK to drink and drive. 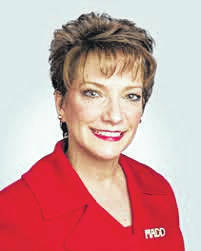 Colleen Sheehey-Church is the national president of (MADD) Mothers Against Drunk Driving.